A balance transfer occurs when a credit card customer moves the outstanding debt on their existing credit card, to a new credit card. This process of moving the existing debt from one credit card to another is what is known as a balance transfer. When a balance transfer is made, the new credit card company pays the debt to the old credit card company. After the transfer, the customer then has a debt with the new card company, often at a lower or 0% interest rate. Most balance transfers occur because a credit card customer wants to save money by paying no interest on their outstanding debt. By making a balance transfer from an existing credit card which has a high rate of interest, to a new credit card with a 0% rate of interest, the customer can save large amounts of money. A new credit card that offers an introductory 0% interest on balance transfers for as long as 28 months, means that the customer will pay no interest on the amount transferred during this promotional 28 month period. Most balance transfers are made when a credit card customer applies for a new credit card offering a 0% balance transfer deal for an introductory period. Are there any fees when making a balance transfer? In most cases a balance transfer fee will be charged by the credit card company you transfer the balance to. You only pay this fee to the credit card company you transfer to. 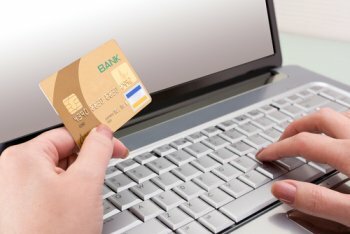 No fee is charged by the credit card company you transfer from. The balance transfer fee is charged as a percentage of the amount you balance transfer so as an example, a £2,000 balance transfer with a 3% fee would result in a £60 fee. Lets assume that Mrs Smith currently owes £3,000 on her existing Barclaycard credit card that has a 18.9% interest rate and she pays it off at £110 a month. Now Mrs Smith has a £0 balance left on her Barclaycard and she now owes £3,000 to the new credit card company. With a balance transfer a customer can save money by paying no interest during the 0% offer period and also pay off the debt faster, as all payments pay off the debt rather than going towards paying interest. In summary, balance transfer are best explained as the process of moving an outstanding debt from a high interest credit card to a new lower interest credit card to save money. For further reading, Wikipedia, the online encyclopaedia’s definition of what is a balance transfer can be found here. « « Does A Balance Transfer Count As A Payment?